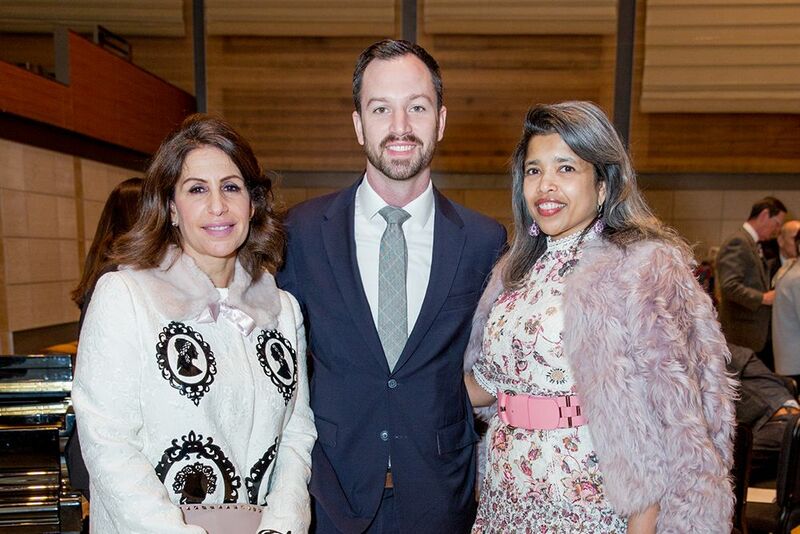 There was an air of camaraderie and respect on the stage of the Caroline H. Hume Concert Hall at SFCM’s annual Fanfare Luncheon on Friday, March 9. Fanfare, one of the Conservatory’s most anticipated events of the year, brings together alumni and friends spanning generations for an afternoon of food, music, and reminiscences. 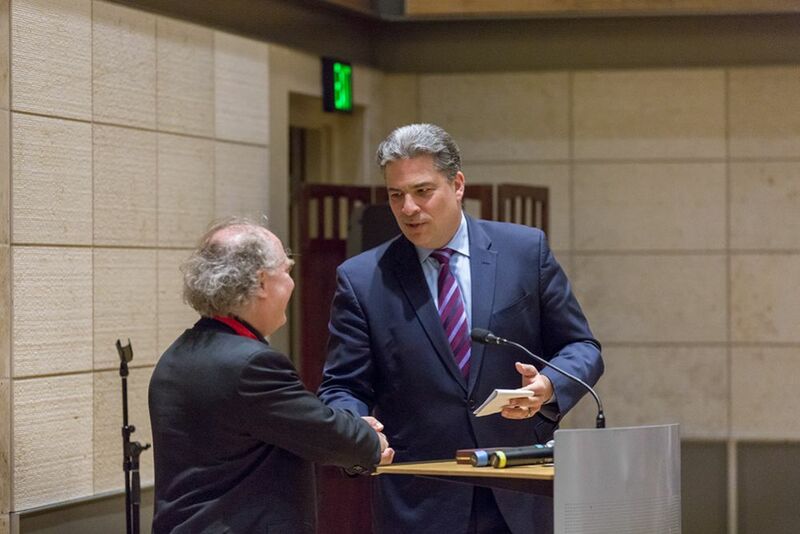 This year, SFCM’s Fanfare honoree was renowned pianist and conductor Jeffrey Kahane ’77. 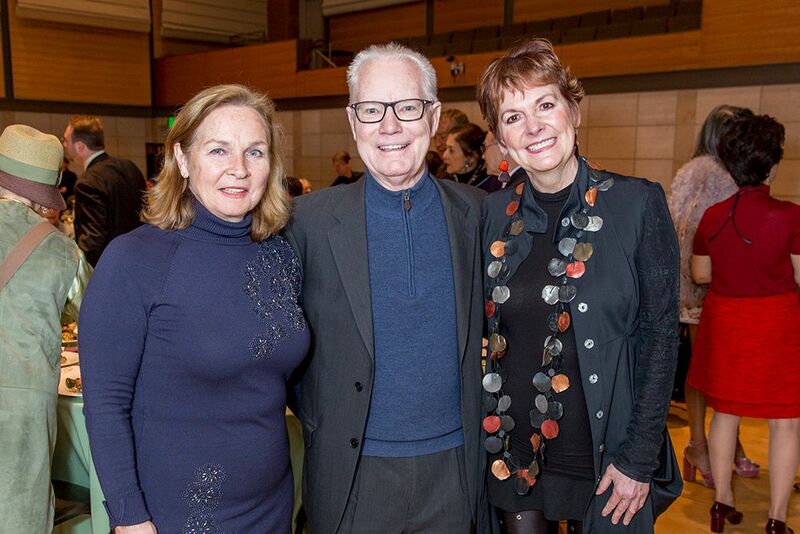 After a welcome from SFCM President David H. Stull, Fanfare co-chairs Robin Sutherland ’75 (a previous Fanfare honoree), Elizabeth Dondero, and Centennial Committee Chair Jan Buckley all gave remarks for the occasion. Sutherland, referring to the time both he and Kahane lived in co-founder Lillian Hodghead’s estate in Marin County, recalled perusing the property upon being given the keys as tenants of this new “dorm.” Discovering the original manuscript of Ernest Bloch’s Concerto grosso as well as the composer’s death mask were just a couple of the interesting finds they came across at the house. 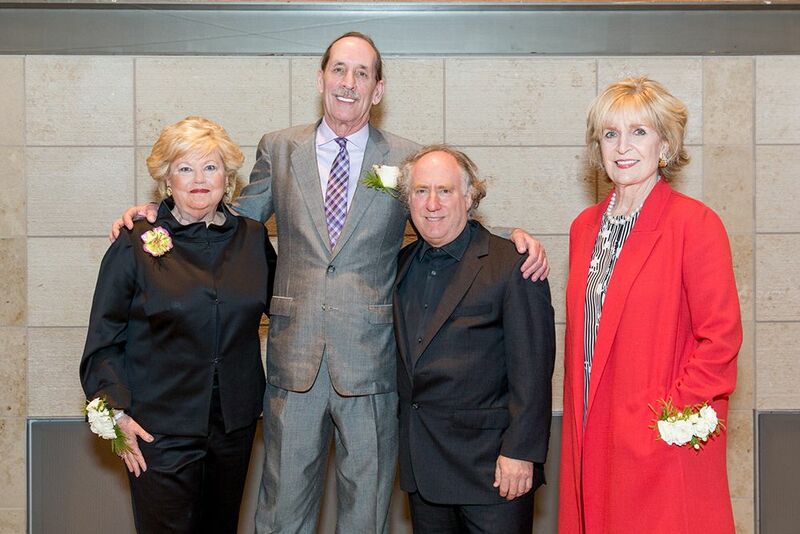 “As proud as I am to be the chair of this lovely, lovely event, I am prouder still that the honor goes to my dear, dear friend Jeffrey Kahane,” he said after bringing the crowd through several fond memories. 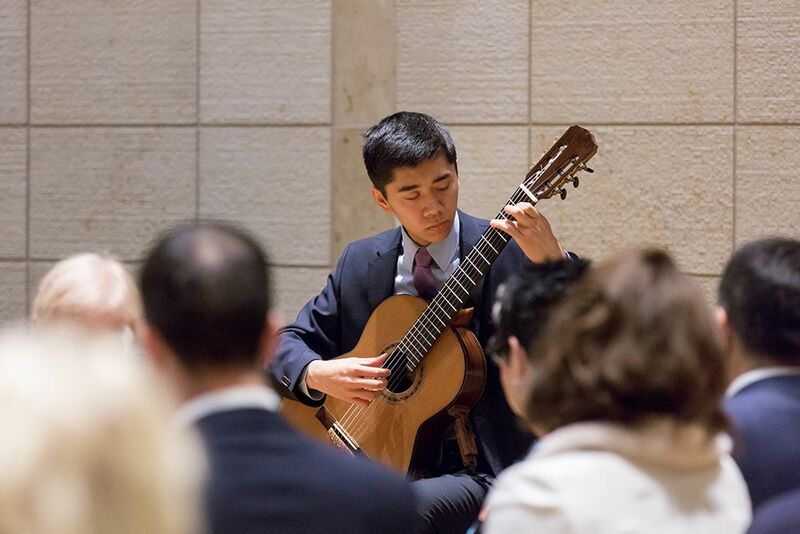 After performances by Pre-College student Nicholas Padmanabhan and collegiate students Evan Kahn ’18 and Heemin Park ’18, Kahane and Stull sat down for an expansive conversation that traversed his childhood, school days, and career. 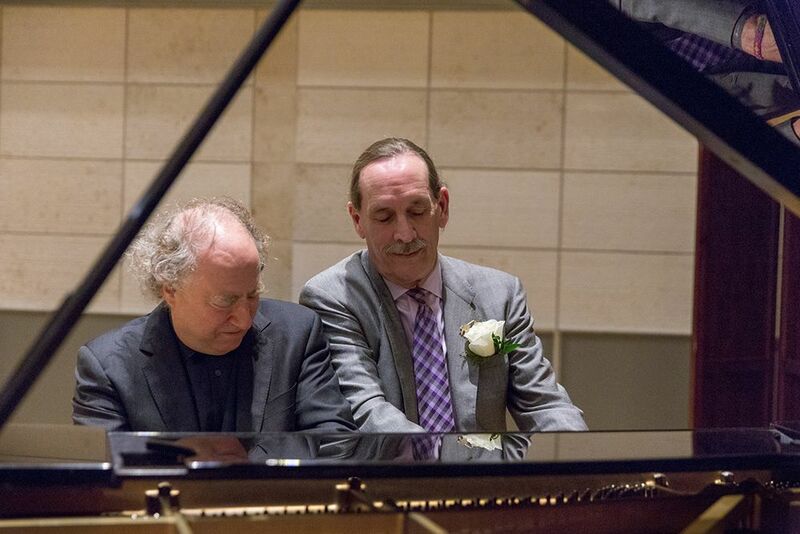 After Kahane sat down with his old roommate, Robin Sutherland, for a short performance at the piano, Presidential Alumni Council Chair Gary Rust ’83 presented Kahane with SFCM’s Distinguished Alumni Award. As music director of the Los Angeles Chamber Orchestra for 20 years, Jeffrey Kahane redefined the the role of the conductor, bringing a new sense of versatility in programming and performance, often conducting from the keyboard. 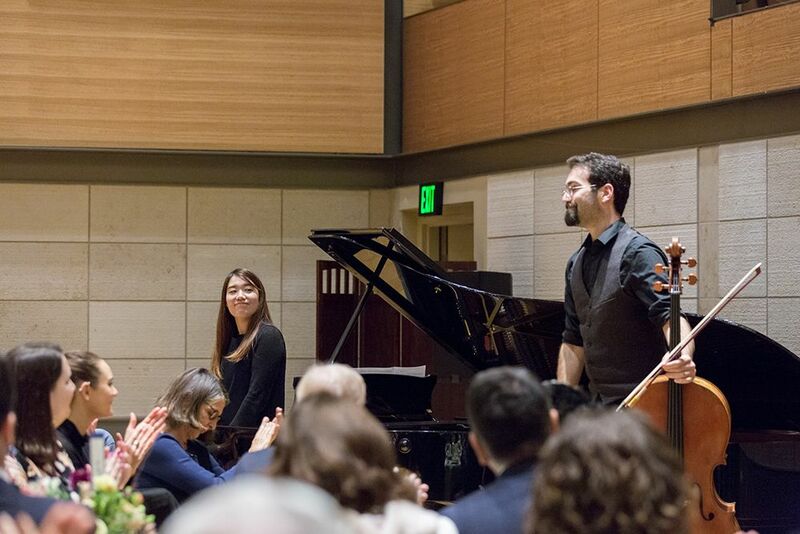 His artistry is legendary at the Conservatory, and his familial attitude is a quintessential example of SFCM’s alumni community.